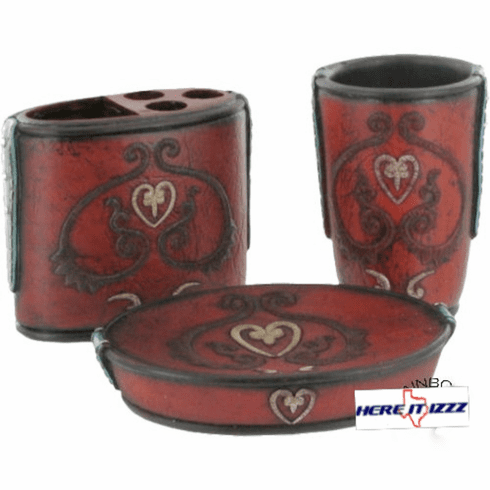 Beautifully bright burgundy and turquoise 3 piece vanity set is perfect for your rustic country or Western bathroom. Gorgeous design hearts and Scrolls trim each piece of this vanity set. Included in this set are soap dish, rinse cup and toothbrush holder.